← 2014 Football World Cup Preview – Part 4 – Here to the Bitter End! David Villa – Good or Bad for the A-League and MLS? Are ageing stars the answer? This is one of those loaded questions that is actually more a question about the general state of the domestic game in Australia and the USA than a question necessarily about the man himself. So let’s tackle the different markets first. The major sports in Australia are the four Football codes and Cricket with a plethora of other sports sitting just below those sports in the pecking order eg. Tennis, Athletics, Netball, Hockey and Basketball. The domestic pecking order seems to be (in descending order of importance) Australian Rules Football, Rugby League and Rugby Union in Winter and Cricket and Football during Summer (the A-League having shifted to Summer along with Basketball to get more market penetration). In Australia, Football was once typecast as a game played by ethnic minorities although many Australians play Football somewhere in their childhood. Junior numbers for Football are very competitive against all the other codes. Probably the Achilles’ Heel of Football in Australia is that Football is still trailing the other Football codes and Cricket in the market pecking order and the major European competitions will always be able to offer greater money and more importantly, greater prestige. If you could play for Man U would you choose the Brisbane Roar instead? Probably not! Football in the US faces exactly the same problems faced in Australia. This brings us to the man in question, David Villa. For those of you who haven’t heard, the Spanish superstar is moving from Atletico Madrid to the newly formed New York City FC via a loan to the newly purchased Melbourne City (formerly the Melbourne Heart but rebranded after Manchester City purchased the team). I think the pros and cons of his move to both New York and Melbourne are similar (if not identical) so I’ll track them together. David Villa is worth every dollar. 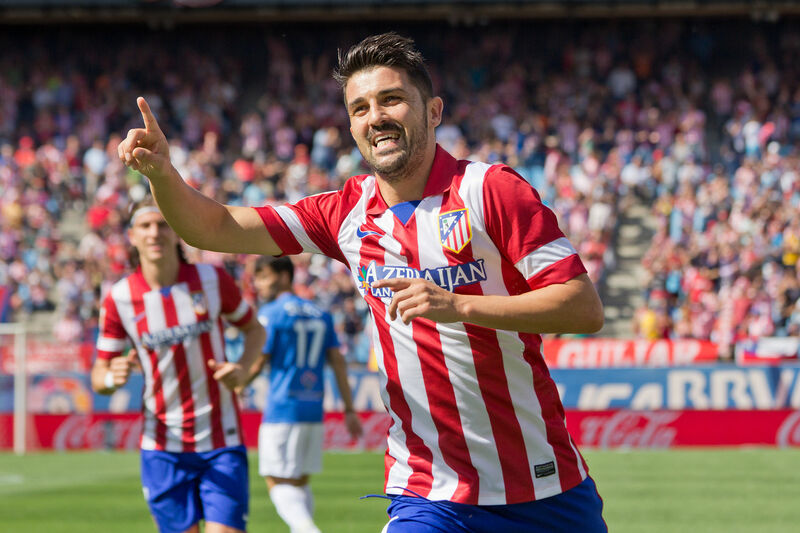 Usually the free media promotion provided by a marquee player of David Villa’s capability pays for itself, if compared to the advertising spend necessary to pay for comparable media coverage. All of the additional income streams are a bonus after that. Brazil looked a little dusty up back (and not just the own goal) in their first game. Could come back to bite them at the business end of the competition. They looked super moving forward though, although they were less clinical against Mexico, though some of that has to come down to the defensive abilities of the Mexicans. The Netherlands were amazing against Spain. Not as sharp against Australia (although I think Australia has been better than advertised). I hope the Nederlanders haven’t peaked too early. All the fears that had been expressed about Spain being past their best came to roost. Worst defeat since 13 June 1963 (exactly 51 years ago to the day). Couldn’t help but feel sorry for Casillas as goal after goal rained down upon him. Eliminated by the end of the second game. That was hard to predict. Hats off to Costa Rica. But surely Uruguay shouldn’t have sat on their heels after going 1-0 up. Sometimes attack is the best form of defence. Speaking of Costa Rica, the Central American sides in the current World Cup remind me of the African sides of the 90s onwards. Not the easy beats everyone thought they would be. South American teams are having above average results this tournament. Given they are essentially playing at home I thought they would do better than 5-1-2 though. Chile, Argentina, Colombia and Brazil meeting expectations but Ecuador and Uruguay under the pump, especially Uruguay. Must win against England. African teams are performing worse though. Thought they would be doing better than 1-1-4. The French had the worst haircuts of all the nations at the World Cup. Easily. It wasn’t even close. And that is saying something. With great hair comes great responsibility. Germans were very clinical especially considering they were playing Portugal. Good signs for them. And they had better haircuts than France. Now that we have seen every team play, I think Brazil, Chile, Argentina, Colombia, Germany, France, Italy and Netherlands can win the whole thing with Belgium and Switzerland outside chances. Everyone else is making up the numbers. I think Spain (1st), Portugal (4th), Uruguay (7th) and Greece (12th) may see a sharp drop in their world rankings. Likewise, Chile (14th), the Netherlands (15th) and Costa Rica (28th) should see a correlative spike in theirs. In Australia, the coverage from SBS is spot on. Apart from being free to air they have full replays of each game on the internet. For those who are time poor they have included an ‘Events’ tab which lets you know when every significant event occurs during the feed (like goals). Nice work. By and large the games have been exciting to watch with the exception of one or two games. When I was watching those games (Iran v Nigeria springs to mind) it made me think of the qualification process and some of the sides that failed to qualify for the World Cup like Ukraine (16th), Denmark (23rd) and Slovenia (25th). Qualification (like seeding) in the World Cup is always subject to a great deal of criticism. Rather than the current qualification method I was thinking the following would be fairer and may lead to better results in the World Cup. Qualification could begin with a play-in competition for teams ranked 101 – 207 (like the FA Cup and the Champions League) for 28 available places in the next round. Once these early rounds are finished those 28 qualifying nations would join those ranked 1 – 100 seeded in pools of 4. The top 2 of each pool would progress leaving 64 teams. Teams would then be reseeded into pools of 4. Once again the top 2 would progress to the World Cup finals. Alternatively, the top 128 teams could be seeded into pools of 8 with the top 4 progressing. It would be a lot closer to South American qualification. Either would seem fairer. In fact I have talked myself into the last model. Patty Mills and Aron Baynes winning a ring with the San Antonio Spurs. BTW great story on Patty Mills in the NY Times. Rabbitohs and Roosters continue to gain ground during the Origin period. Eels keep on keeping on. Chris Sandow 2.0 continuing to make us forget about last season. The Blues defence. Queensland’s couldn’t win forever, however, they were brave in defeat. Knights were brave but I think everything that could go wrong, has gone wrong for them this season. I guess they should be thankful ASADA aren’t investigating them. Then they would be going as badly as the Sharks. If you haven’t seen the ‘That’s in Queensland’ clip on Youtube then you should. Jesse Bromwich – Run Metres – 170m, Tries – 0, Try Assists – 1, Tackle Breaks – 3, Tackles – 32, Offloads – 3, Line Breaks – 1, Line Break Assists – 1, Errors – 1 and Bros that played for Melbourne last weekend – 9. What do you think, David Villa, good or bad for A-League and MLS? I’ve been religiously checking this site for statistical analysis of the World Cup. It is not disappointing me. This entry was tagged A League, Australia, Basketball, FIFA, Football, MLS, NBA, New Zealand, NRL, Rugby League, Soccer, United States, World Cup. Bookmark the permalink.